Junk Journalism Verses Real journalism: Ze-Habesha or Ay-Habesha Media? The tragedy of the State of Media and journalism in Ethiopia is known as TPLFs propaganda mill factory that transmits in multiple languages in the wishes of TPLF warlords. The self-proclaimed Tigray people representative led Apartheid regime of the Federal ethnic Nation and Nationality of Ethiopia is feeding our people lookalike news, political entertainment and propaganda drama — too busy trying to rewrite everything, including history to prolong the Apartheid system where its very survival depends on. Without it; TPLF is nothing but gangs of ethnic warlords feasting on the expense of and riding on the back of the people of Ethiopia as design by their enablers. Far away from the Apartheid regime controlled territory of Ethiopia in the free world where the real battle is fought to win the hearts-and-minds of the people of Ethiopia that run away from tyranny. One would think; the free world is where the good, the bad and the ugly Medias (junk verses real journalism) would be sorted out; not by how much cut-and-paste news they provide from other sources or cook up their own imagination but, engage in critical investigative reporting that matters to the people they claim to serve but, It wasn’t meant to be. An average Media in Diaspora today is nothing more than Coffee Shop chitchat (Tela BetWore) pasted on the unfortunate cyberspace that was invented to revolutionize information transmission. Sadly to say Ze Hbesha joined the rank and file of the sorry State of Media to force us asks Ze Habisha or Ay Habisha. Its latest press coverage of the lone ranger Ethiopian Review editor and journalist wannabe Elias Kifle apologizing ‘Ethiopians’ for his past association with Shabia where unidentified individuals clapping their hands on the background. It reminded me of TPLF’ that is known to fabricate drama and make it look like real. When two ‘Medias’ editors collude for one-and-only thing and make it look like another it is called junk journalism. But, when they insult the intelligence of the people they want to reach it is crime of reducing the public to their level. I noticed many Medias, political parties and civic organization doing the same. The 1st Media (ER) editor giving a press statement and the second Media (ZH) editor making a video with clapping hands heard on the background without identifying ZH reporter nor showing the people clapping their hands and without asking the ER editor and the supposedly audience hard question it is gorilla journalism at best. 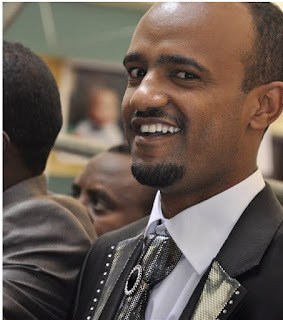 What did TPLF’s junk journalist do different than the two clown journalist wannabes doing? Therefore, junk journalism is a good thing but, what is missing in our society is sorting out junk journalism from real journalism. Understandably, it is a monumental task when the government is a factory of junk journalist and spending substantial resources to make sure no real journalism see the day. As they say ‘you get what you put in’; like junk food that fills your stomach and start working in your vain pumping its chemical residue in your body to make you fat and ugly, junk journalism does the same to your brain pumping its fairytale residue to make you irrational enough to believe you are a journalist for cutting-and-pasting anything. The legendary Ethiopian artist Telahun Gesese said; ‘አቅምን አውቆ መኖር ታላቅ ችሎታ ነው’ or as our people say ‘አላዋቂ ሳሚ ንፍጥ ይለቀልቃል’ if only we could listen. In that note, all Medias should be mindful; Ethiopians are sick and tired of junk journalism (advertisement) that infested the Woyane occupied nation of Ethiopia and migrated to the free world to feed us junk information. That said; gone are the days of claiming you’re journalists — pasting advertisement. The staged ER editor empty apology was directed to undermine Ginbot 7. ZeHabesha gorilla coverage was advertisement was directed to TPLF’s apologists nothing to do with the people of Ethiopia, nada. They both proved to qualify for junk journalism and for that we have Woyane; we don’t need more junk journalism. Either you do it right or don’t do it at all. Advertising is a good thing as long as we know who the advertisers are or not presented as journalism. What we need is real journalism. The question is what is real journalism? Ethiopians don’t need advertisement of wishes we need journalism to follow the higher law of ‘telling the truth and shaming the devil’. There two ways junk journalism develops; to give comfort to the devil or to piggyback on the devil to advertise something else. I am not sure which one the two clowns represent. But, what I am sure is they are practicing junk journalism. But, there is hope to graduate from junk journalism to the real deal. First respect to the truth, yourself and the profession goes a long way. Second, breaking the back of the ‘devil’ requires digging to the roots of the truth not skirting it. For example, the recent revelation the Woyane Information Network Security Agency (INSA) hacking team led by ‘Biniam Tewolde’ (pictured) from Defence Engineering College, Berhanu Girmay Desta from “University of electronic and technology of China (UESTC), Seblewoin Tsegaye Demessie Hunan University- Computer Science and Technology and Godif Nigus Tesfau with unknown background was the breaking news that should have been followed to their networks of agents in diaspora. This high priority news that required follow up and deep investigation to find out the agents of Woyane from Asia to North America would have gotten the devil its due to run. But, diversion to something else is what we see on most Medias including ER and EthioMedia. ZeHabisha is going in the same direction too. Reading the title I am not sure what EM editor that spends most of his adult life as ‘journalist trying to communicate to the public. The first one appears he is trying to say the good Dr. gave up in life all together and the declared armed struggle is also reported as uprising. On the second title it is not life he gave up but ‘comfy’ and not uprising but insurrection. It appears he is constipating to come up with the right word to communicate what he wanted to say. SEATTLE – Berhanu Nega, leader of Patriotic Ginbot 7, on Saturday bid farewell to his career as an economics professor here in America to lead a struggle in Africa against the despotic regime in Addis Ababa, Ethiopia. Here is junk journalism at its best– stating with the title. Dr. Berhanu is not new for the struggle or ‘giving up ‘comfy’ before. He also led the arm struggle or what EM Abrha Belai referred as ‘insurrection’ from the day G7 was formed. In fact, Dr. Berhanu and his compatriots formed G7 specifically to wage war on TPLF and are the only group that tried both peaceful and armed struggle against TPLF led Apartheid regime of Ethiopia. A few weeks ago, EM refused to source ESAT’s news regarding Patriotic G7 military attack on Woyane troops. Instead it put out diversion news titled ‘Eritrean and Ethiopia; war again?’ (It no longer is posted on front page) with a video link of the Woyane puppet PM warning Shaibia to undermine the movement anyway possible. A year ago EM sourcing Elias of Ethiopia Review reported Patriotic- Ginbot 7 leaders Andargachew’s kidnaping was the work of Shaibia with no success. A year later when the struggle intensifies and bullets start flying, EM and ER couldn’t swallow the truth to come up with yet with another bizarre reports. No one knows if Dr. Berhanu told EM editors that he is leaving his ‘comfy’ life for good or not. There is no way of knowing whether Birhanu told EM of Bilai he is going permanently or EM editor made it up to fit his imaginations or wishes either. It is not also clear Dr. Berhanu discussed his career goal with EM editor or if EM editor understands what a career in academia means. I am not sure of what was all the fuss about whether Dr. Berhanu is economics professor or not or in America or Timbuktu to lead an armed struggle in Africa or Ethiopia either. He reminded me TPLF’s apologists referring Ethiopia as East Africa or Horn of Africa for reason I believe is to confuse Ethiopians. What is giving contemporary journalists constipation to behave like junk journalists? An amateur like me can easily figure out without blinking an eye. Here is my take; they all have agenda other than freeing our people from the ruling Apartheid tyranny and or potential future tyrants. As they say; you can run but can’t hide. And as I said before ESAT is chocking them from spitting out the truth. If that is not the case I can’t find anything that made our contemporary Medias having seizer when they hear the truth. Ethiopians are watching whether Medias are with the people of Ethiopia or sucking up for one or other interest groups. Sooner or later they will shape up or shipped out, I guarantee it.